One bold plant. One stunning urn. A simple way to add drama to a corner of the garden. Right? Maybe not for everyone. I've often thought about the reaction of readers of this blog to the fact that many of the photographs I post were taken around Atlanta, Georgia, in the southeastern United States. A lot of the plants - especially the colorful macrophylla hydrangeas featured recently - won't grow everywhere. So, does that really matter? In the case of not being able to have big, gorgeous hydrangea blooms, and memories of your grandmother's favorite bush, yes. But then, I don't have the experience of growing up with fragrant lilac hedges, so dear to people in northern climates. I'm a big believer in taking inspiration from other gardens, though - no matter where they are - and translating them to your own back yard. For instance, I saw some photographs from Danish gardens recently, and I thought, "I can do that here." I could, but I'd have to use different plants. 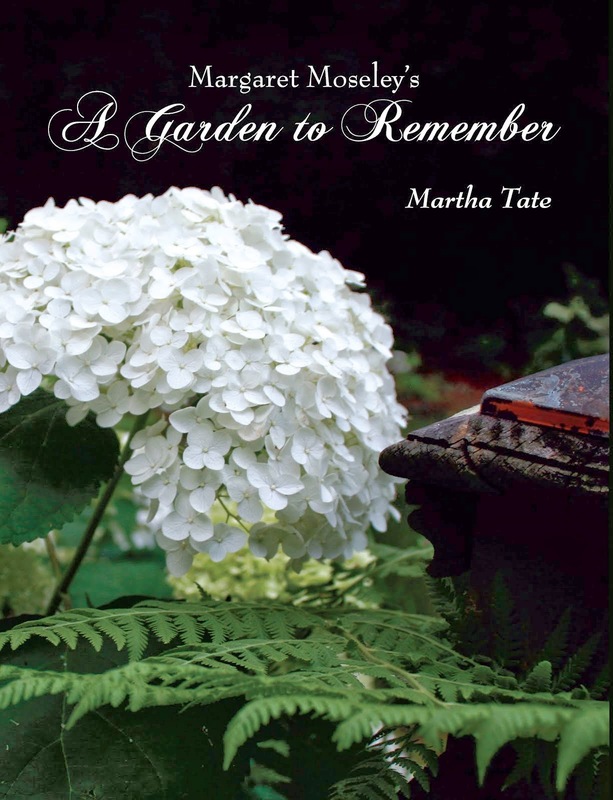 I read often, especially with beginning gardeners or those who have just moved to another part of the country with an altogether different climate, the lament that there is no handbook on plants that will succeed in that area. Although many garden writers have tried to customize plant selection for different parts of the country, that is sometimes very hard to do. New introductions arrive, and then some plants depend greatly on a microclimate within an area to thrive. A good approach is to visit local nurseries, go on the Internet, look at other gardens and yards around your area, talk with residents and determine what will succeed. When it comes to scenes like the one above, I confess I am more of a stealer of ideas rather than an originator of my own landscaping concepts. For instance, on a trip to the Perigord when I was first married, we went to a restaurant with an iron trellis that formed a long tunnel. One part of the iron arch was fastened to a wall. The other end went down into a wall about the height for seating. Wisteria wound up the vertical poles and made a canopy. I had bought a newspaper in that town which had a picture of the restaurant "tunnel." Years later, I used it to show to a stone mason and then to a representative from an ornamental iron company. I was able to duplicate the look (although my vertical poles were square and thicker than the ones in the Perigord; I was horrified at first, but then I got used to the scale for my particular circumstance). Then, I proceeded to plant wisteria. Fine in the Perigord where it doesn't get so out of hand. After a few years, I had to remove the wisteria (with great effort), because it threatened to take the whole tunnel down. I finally have a more manageable yellow trumpet vine (although it has to be kept in bounds) that is not as vicious as the wisteria. Now, connecting this disjointed sermon with the photo above. There are places where hosta doesn't grow (Miami, Florida?). But, there are any number of wonderful tropical plants with giant leaves that might offer the same look. One simple plant; one great looking urn, and you've got yourself a lovely vignette for the garden. The only drawback here is that someone in Michigan might have a hard time with the already large Hosta 'Sum and Substance' pictured in an Atlanta garden. Up north, this plant would soon overtake the scene. In that case, a smaller leaf hosta, set at a distance from the urn, might work better. Still, the idea is the same. You can use your local plants to duplicate an idea from another region. Now, as for leaving an urn such as this out in temperatures that dip to 25 degrees below zero, that's another problem - one that would definitely take the "simple" out of the title of this post. If all plants grew in all gardens now just how boring would that be? I love to visit gardens and always make mental notes of things I might be able to try. In the world of garden blogs I get to visit so many gardens and see so many beautiful vistas that I will never be able to see in person. I grow a lot of daylilies so your photo of Mr Carpenter's garden was much appreciated.